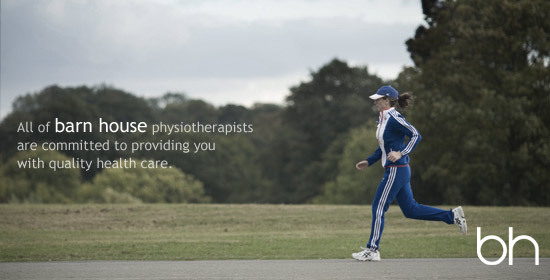 Physiotherapy delivers a vast array of treatment techniques which help to restore and improve body movements and functions. Psychological health is enhanced by physical wellbeing and at barn house physiotherapy the treatment is as individual as you are. Jacqueline returned to Western Australia in 1993 to complete her post graduate diploma in Manipulative Therapy from Curtin University. During this time pilates and muscle imbalance were at the forefront of physiotherapy treatments and Jacqueline returned to the UK and set up one of the first physiotherapy/ pilates studios in 1996. Pilates machine work and pilates matwork classes are an integral part of treatment and rehabilitation at bh. Jacqueline gained extensive experience working in private practice and the NHS in the UK and in Australia, working with dancers, footballers, rugby players, tri-athletes, equestrians and rowers. Jacqueline initially trained as a body control pilates teacher and then integrated the training of dance medicine Australia to further her clinical pilates. She then worked for GB Rowing from 1999 to 2008 where she introduced pilates as part of the injury prevention and performance enhancement programme. Jacqueline was lucky to be chosen as one of the physiotherapists to work with the GB Rowing team in Athens for the 2004 Olympic Games which was an amazing experience. Jacqueline passionately believes in normal movement and how movement patterns change as a result of weakness, pathology and pain. She works with clients to re-establish normal movement with manual therapy and exercises. Each client is encouraged to work on their own bodies through active movement to bring about change , improve fitness and prevent re-occurrence. She currently works at her clinic near Stamford, Lincolnshire. She also runs masterclasses in movement and breathing control, both locally and internationally. She has written 2 books on pilates, one with Lynne Robinson of Body Control Pilates and one with Bunny Guinness, gardener and author, and has had input into a pilates and pregnancy book, also with Lynne Robinson. She appeared on TV on The Alan Titchmarch show with Bunny Guinness and has been on Gardener’s question time on BBC Radio 4 again with Bunny Guinness. She is a member of The Health Professionals Council, (HPC), Membership of The Association of Physiotherapists in Manipulative Therapy (MMACP), Membership in The Association of Chartered Physiotherapist in Sports Medicine, (ACPSM), Dance UK & The Association of Physiotherapist in Pain (PPA). Alison was awarded her Graduate Diploma in Physiotherapy from the Oswestry and North Staffordshire School of Physiotherapy in 1987. She worked as a junior physiotherapist in Exeter, Devon, developing a passion for the neuro-musculoskeletal speciality before a working holiday in Adelaide, Australia and Wellington, New Zealand. She began working in London in 1991 with increasingly specialist roles at Queen Mary’s Hospital, Roehampton, St Mary’s Hospital, Paddington and St George’s Healthcare, Tooting. She helped to develop the role of Orthopaedic Physiotherapy Practitioner nationally. This role involves examining GP referred patients in Orthopaedic Clinic, formulating a clinical diagnosis, organising treatment and review. In 2004 she took on a similar role in headaches in Tooting and became an expert in physiotherapy management of dysfunction in the head and neck. Alison lectured on this and developed a teaching package with two colleagues to help physiotherapists identify risk factors in patients with dysfunction of the circulatory system presenting with head and neck pain. In 2010 she moved to New York with family and spent five years there. 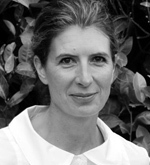 Emily qualified in 1994 from Birmingham Schools of Physiotherapy where she achieved a Diploma in Physiotherapy. 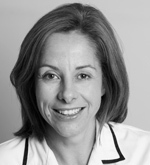 Emily has specialised in musculo-skeletal injuries and has gained extensive experience working at Addenbrookes NHS Hospital in Cambridge, and in Private Practice. While at Addenbrookes, Emily also worked as the Senior Physiotherapist at the hospital’s Sports injuries Clinic. Emily is a qualified Clinical Pilates Instructor and leads both Beginners and Intermediate Pilates classes at Barn House..